They're both restless, adventuresome, imaginative, and fun loving. No other opposite signs in the zodiac enjoy each other more than these two. There'll be shooting stars in the bedroom for a while, but when the fireworks fizzle the bickering begins. 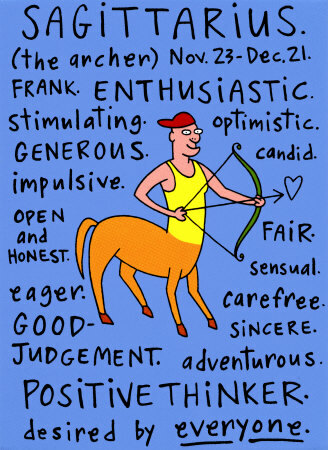 Both have bright minds, but Sagittarius is outspoken and bossy, while Gemini likes to poke verbal fun. Too rootless and discontent to settle down, they eventually both succumb to the siren call of other interests, other loves. But parting should be amicable.